Dallas get the best carpet cleaning, dirt free that is.. There are multiple reasons to why we provide the absolute best carpet cleaning service in Dallas, Texas. With our all inclusive flat rate packages levels for your choosing, we can get your carpet cleaner and dry faster than most companies. We offer so much more than just carpet cleaning and have come to perfect and be the absolute best at all services offered which range from tile and grout cleaning, stone cleaning, marble polishing, upholstery cleaning, oriental rug cleaning, drapery cleaning, and most of all commercial carpet cleaning. We truly are your one stop shop when it comes to your total home, business, or office with a careful clean-out. Ultra Clean Floor Care truly cares for it all, when your needs are on the line, we are there on a dime. Detergents can be used when it comes to a stain, there is nothing improper about this, but is a fact that if not properly extracted from the carpet then a residue is left behind and will attract dry soil. Lets just put it this way, your carpet won’t be dirt free for long. The detergent residues on the carpet fibers will attract dirt from the soles of shoes as people walk on a carpet and also from vacuuming the carpet, causing the carpet to turn dirty again soon after cleaning. So every where residue is left dirty spots will be. When the carpet dries you can feel the adhesive, oily residue left in the carpet from the detergent. The particles of oily soil deposited on carpet fibers can create gradual, but significant dulling of the colors. Remember when it comes to the life of your carpet, a dirty carpet will not last as long as a clean carpet. A lot of people are very attentive when it comes to vacuuming regularly and not wearing shoes on the carpet, just to keep it clean, but still you will have to eventually clean your carpet. We understand you try to go as long as you can without cleaning your carpets. You may think you are saving money, but your really not. Doing this will cause your carpet to wear out faster and be replaced sooner. You and your family will enjoy a great deal of health benefits, when you have your carpet professionally cleaned. A couple of these benefits, are clean carpet and improved air quality. Your carpet acts as a filter trapping allergens, dirt, and other unwanted bacteria. Regular vacuuming helps prolong the life of the carpet, and will heighten its appearance as well, but can only do so much. 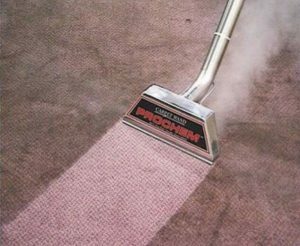 Have your carpets cleaned once a year to keep that like new condition, and get the most life out of your carpet while always looking good. Don’t let a trapped dirt carpet ruin your carpet. Your carpet will require replacing much earlier and will look heavy and overworked, without proper maintenance. Ultra Clean, LLC not only cares for your carpet, but cares for your home as well. By laying down mats at the door and protecting the corners of your walls with guards. Your satisfaction and home is our top priority. We strive to give everyone with a 5-star service. Our trained IICRC Certified Technicians will make sure you receive this each and every time. Ultra Clean Floor Care is becoming greatly loved in all of North Dallas call us today and receive your 5-star service too. The Best carpet cleaning in Dallas. (214) 998-37215.